Would you like to contribute to our monthly newsletter? 500-2,000 words and should also include a short biographical piece about the author(s) and a photo of the author(s). By submitting content to us, you acknowledge and agree to the following terms and conditions and consent to use your name, photograph, and geographic location possibly being published in connection with the publication, distribution and/or broadcast of your submission(s). The Ultimate Estate Planner, Inc. (or any of its affiliated companies or entities) are not obligated to use or pay you for any submission. It is possible that similar submissions may be submitted to The Ultimate Estate Planner, Inc. by multiple sources and that a submission may be similar to ideas generated or developed independently by others. All submissions shall become the property of The Ultimate Estate Planner, Inc., may be edited for length, clarity and/or functionality, will not be subject to any obligation of confidentiality, may be shared with and used by the staff of The Ultimate Estate Planner, Inc. and any of their affiliated companies or entities and shared with legal authorities if The Ultimate Estate Planner, Inc. believes it warranted. Ultimate Estate Planner, Inc. shares the submission(s)) shall be liable for any use or disclosure of any information or submission(s) that you submit. The Ultimate Estate Planner, Inc. shall exclusively own all known or later existing rights to the submission(s) worldwide and shall be entitled to the unrestricted use of the submission(s) for any purpose in all media now known or hereafter discovered without compensation to the provider of such submission(s). 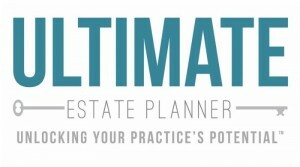 The Ultimate Estate Planner, Inc. reserves the right to change due dates for submission(s), or other specifics, as it deems necessary in its sole and exclusive discretion. By submitting a submission(s), you acknowledge that your submission(s) do not contain any material that is abusive, vulgar, threatening, harassing, libelous, defamatory, obscene, invades a person’s privacy, violates any law, any intellectual property or other property or other rights, or is known to be false. The Ultimate Estate Planner, Inc. will notify you if and where it may utilize your submission(s) and if any changes may be made to it.